Find out the meaning of the mirror hour 21:21 right now with an interpretation of the angels, a study of numerology, and a study of the Tarot of Marseilles. Coming across the double hour 21:21 has a precise meaning and we are going to give you all the information there is on this mirror hour made up of a double “21”. Your subconscious is taking the time to communicate with your conscious mind. This has made it possible for you to receive a sign from your guardian angel, from a spiritual guide, or from an entity. This could be thanks to the concept of synchronicity as theorized by Carl Jung. Two events which have nothing to do with each other end up joining together to have a coherent meaning for the person who observes the phenomenon. Coming across the mirror hour 21:21 can raise a lot of questions! If it happens on a regular basis, you either have the answers deep inside of you or your angel thinks that you could benefit from his guidance. Here you will learn what 21:21 means through the different interpretations that we suggest with the help of angelology, numerology, and cartomancy. The hour 21:21 carries an important message from the angels! If you are working on an important project, this double hour is telling you that it will be met with success. You have proved your patience and you are finally going to be paid back. You are going to harvest the fruits of your labor and you deserve it. Here we could be looking at a total success as seeing 21:21 is a wonderful message! You are finally going to be recognized for what you have accomplished. This is like the culmination of your efforts. If this is to do with your professional life then you are definitely going to receive a promotion or take on an important project. You are going to have big responsibilities! You have certainly done everything you can to reach this level, and you have worked for quite some time now. The angel is also giving you a warning, however. You have to keep a cool head! Your mind is very good at seeing the big picture and you are capable of tackling big projects, but do your best to stay above the fray or else risk becoming part of it! You give without expecting anything in return, but sometimes this is to the detriment of your personal well-being. By seeing the hour 21:21 your angel is telling you that you should take some time for yourself! You have great capacities for meditation, so you should practice more often or set your hand to it if you haven’t already! He breathes divine wisdom into your body which allows you to replenish yourself. This can turn out useful if you have inner conflicts to resolve. The guardian angel corresponding with 21:21 is Damabiah whose period of influence is between 21:20 and 21:40. He is the symbol of life's essence! With his help and guidance, you will be met with success in your projects, especially if they are for the purposes of helping others. He gives you the potential to explore your inner self with wisdom, for example with the help of meditation. He is also of great help if you want to free yourself from a curse or an evil spirit. He never leaves you alone in the face of evil! What does 21:21 mean in Numerology? 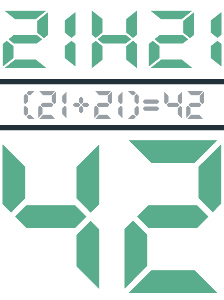 The total value of the mirror hour 21:21 is 42. This number shows that harmony at the heart of the family is important to you! You prefer things to remain calm between you and those close to you and you do everything you can to ease any possible tensions. You have a sense of responsibility! You keep your word so much that “Trustworthy” could be your middle name! Your sense of duty is remarkable, and this has the potential to take you very far! 21:21 shows that people can count on you even in the most trying of times and that you will never expect anything in return! You also have the potential to become a magnetizer, bonesetter, or fire cutter. Any profession that will provide relief to those around you is open to you! The gift of a healer is rare and precious and developing it will allow you to ease the pains of the people that you love. 21:21 encourages you to take action in your romantic life. The number 42 indicates that you should take your romantic destiny into your own hands. If you have feelings for someone and you are hesitant to declare your passion, this mirror hour invites you to make the first move, and to initiate the relationship before it passes you by! The Tarot card corresponding to 21:21 is the World! 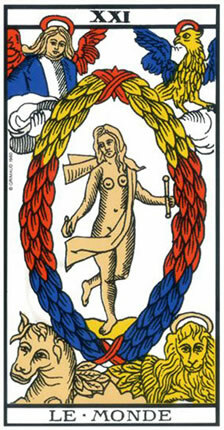 This is the greatest Arcanum in the Tarot of Marseilles. Just like the interpretation of the angels and through numerology which were relatively positive, this card tells of success and achievement! You are going to reach your goals there is no doubt! This card is symbolic of triumph and accomplishment — for you, victory is at hand! 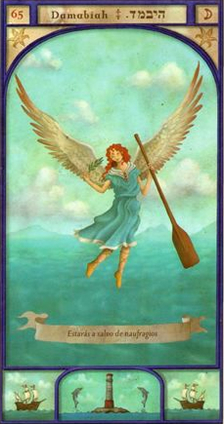 In the first instance this Tarot card certainly has a positive meaning! By analyzing the connection between the mirror hour 21:21 and the Tarot, we can truly understand the positive message that this double hour is sending us. No matter what area of life you are concerned with at the moment, just know that everything will turn out for the best! But the position of the World in a reading has its own importance too. If it is in a bad position it could signify failure, or something that is getting in the way. If the card is reversed, it gives clear indication that the answer to your question is a negative one! This is a very good way of finding a yes or no answer to a question. If you are in a couple, the World shows that your relationship will be fulfilling and that it may result in great things such as a marriage or the birth of a child. If you are single then it is confirming that you will manage to find love. Professionally speaking, 21:21 and the World suggest success in your career, especially if it has connections with other countries. If you are waiting for a promotion, then this is on the way! On the financial level things will get easier. If you are currently facing some difficulties then these will soon give way to financial stability. 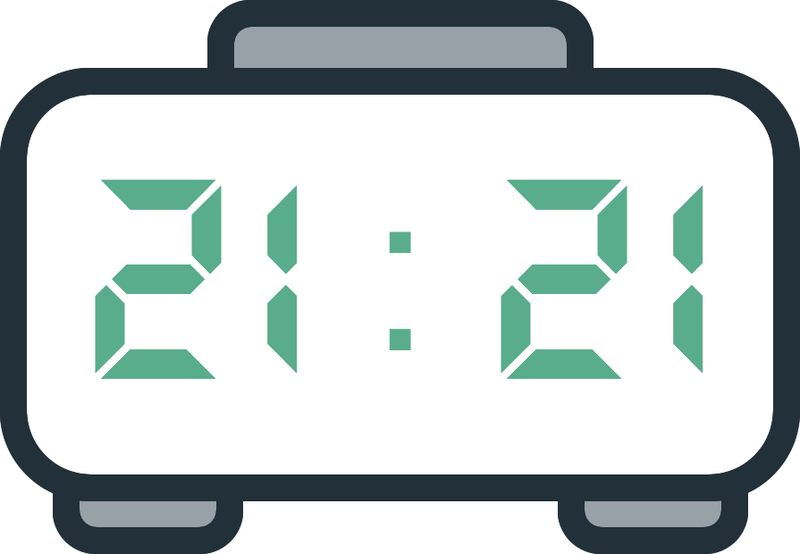 Any comment on the 21:21 mirror hour? How many mirror hours i will keep seing all day eveeyday?? Its mean i am a chossen one?? I am happy, feeling protected and connected with my lovely angels and archangels. Hey, just need answer because been seeing repeating numbers all the time and I know different numbers have different meaning. But I’ve remember first seeing 11:11 not paying much attention to it and then came 21:21 everyday I can’t really understand it because at that time seeing those numbers had really tough time I’ve barely went through it and by checking the meaning of 21:21 now does make sense in some way , as it say it indicates an affirmation of success and love and that I shoul act on it . Well I did , It didn’t go well in love got a answer for no and in professional life bad luck and in finance too. I’m picking myself up right now as it’s been really tough months and I don’t see any luck or good fortune coming my way so for me it’s bad sign seeing repeating numbers. But anyway hope one day will get what I want with patience and goodwill. Wow! I was just hearing a tarot reading ans saw 21:2, and reading said reconciliation! I hope my love comes back! !